Nahdhat-Ulama Afghanistan has successfully conducted the annual conference 2017 for 165 Ulamam From almost all provinces of the country, with the technical and moral support of Indonesian Embassy in Kabul. 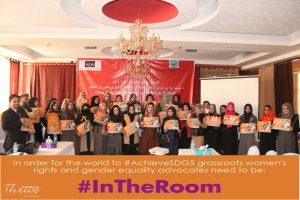 NUA Shura members from Kabul, Representative from Indonesian Embassy, Ulama from Indonesia, Media groups, government bodies and security departments male and female participated in the two day conference on the 15th and 16th of May 2017 in Safi Landmark Hotel, under the theme (Role of ULAMA –NUA- in Peace, Development, respect to human rights and love with humanity). NUA shura appointed a committee in advance to organize the event for the date (15th and 16th May 2017), the committee had done its job well and did all the arrangements. The issue was put forth through a former letter from NUA to the ministry of Haj (MoRA) and requested for support of the program at the same time MoFA and MoJ were informed by a formal letter from NUA to inform their concerned departments. The media local, national & international channels were communicated and the conference was given a good coverage both on local, national and international level. NUA is thankful to its respectable committee for the very good arrangement and communication they did for the conference. NUA also highly appreciate Indonesian Embassy in particular His Excellency Mr. Arief Rachman the Ambassador of the Republic of Indonesia for the technical and financial support which made this program possible to be conducted. On Monday 15th of May 2017 NUA Conference under the title Role of Ulama –NUA- in Peace, Development, respect to human rights and love with humanity was held in Safi Landmark Hotel in Kabul City. 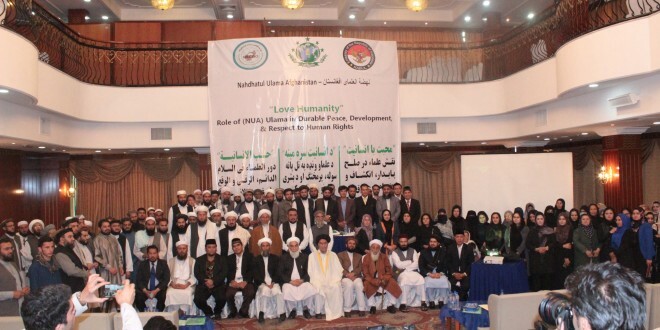 The conference was attended by 165 Ulama (100 male and 65 women), members of NUA Shura (BD) from Kabul, other provinces, delegation of Ulama from Indonesia, representative from Indonesian Embassy, media groups, Government authorities and member of the security department. The conference was successfully completed in evening on the 16th of May; the Ulama showed their full support to the initiative and declared their readiness to work for peace together with Afghanistan Government for Peace, reconciliation and development. The conference was concluded by a press release which emphasized on the role of NUA in the peace process and asked the Afghan government to create space for NUA in the peace process and reconciliation efforts. The conference commenced with the recitation of few verses from Holy Quran by Mr. Qari Muhammad Murtadha member of NUA Kabul Committee followed by national anthem of both brotherly countries Afghanistan and Indonesia, followed by welcoe speech of Mr. Hashemi Head of NUA. Later the remarks by Mr. Lukman Hakim from the Indonesian Embassy, fllowed by introduction to the goals and objectives of the conference by Mr. Kakar who introduced the goal and objective of the conference to the audience through a power point presentation. The provincial committees thanked NUA shura (BD) for the initiative and appreciated the support of respected embassy of Indonesia for the technical and financial support to facilitate the conference, they all in their speeches emphasized on the role of Ulama in peace and showed their commitment to work together with the Ulama in the country for this holy cause, they said peace is as blood for the life of development and progress even the worship cannot be fulfilled without peace. The Financial self-reliance plan was introduced by Mr. Kakar through a power point presentation and the committee of NUA in the provincial committees was given the responsibility to work for ensuring the plan. Article #1: NUA is a non-profit, non-political and a social organization based on religious and national values and it aims to enlighten the common vision, in particular the new generation in the country to protect religious and national values and to take part in the peace process and ensure territorial integrity and sovereignty of the country. Article #2: NUA consider durable peace and coexistence the urgent need of the people in Afghanistan and is seriously committed to fulfill this. Article #4: NUA strongly condemn all sort of acts of terror and will struggle against all type of extremism. The written Evaluation was conducted by the technical NUA staff and the program was concluded by the Duaa by Mr. Maulana Ahmad one of the prominent Ulama of Ghazni Province and head of the Ulama Council there.